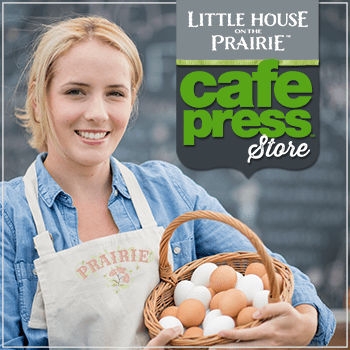 NEW YORK (April 14, 2015) – Little House on the Prairie®, a beloved brand rooted in the stories of an American pioneer family, is a favorite classic literary and entertainment property that spans three generations. With the recent introduction of a lifestyle licensing program inspired by the stories of Laura Ingalls Wilder, Knockout Licensing, the agency entrusted with managing the brand’s licensing program in the U.S. and Canada, proudly announces the addition of Andover Fabrics and The Queen’s Treasures to the Little House on the Prairie merchandise program. Celebrating the pioneering spirit and capturing the heartfelt beauty of the brand through their respective products, both companies are an ideal fit for this evergreen brand. 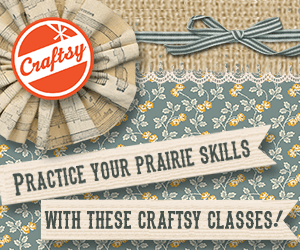 Andover Fabrics has been granted rights to create and market Little House on the Prairie fabrics for quilting. Andover’s first line of Little House on the Prairie fabrics is to feature three different collections of prints inspired by the frontier lifestyle depicted in Wilder’s stories: “Walnut Grove” named for the town in Minnesota where Laura’s family settled in 1874 and featuring prints from that era; “Prairie Flowers” featuring bright, bold calicos; and “Scenics and Icons” featuring iconic imagery on special, natural finish fabric. The Queen’s Treasures has been granted rights to produce and sell Doll Houses and Doll Accessories (including clothes and furniture) for 15” and 18” sized Dolls as well as a ‘Laura Ingalls’ 18” sized Doll and even a Doll Wagon, all inspired by Little House on the Prairie characters and settings. 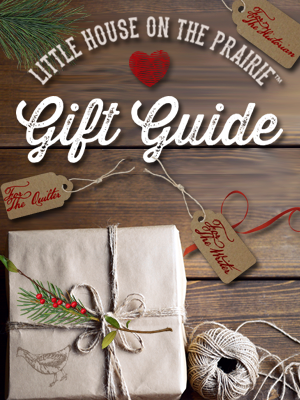 Little House on the Prairie is a world-famous and beloved brand rooted in the stories of an American pioneer family. Written by Laura Ingalls Wilder for children and young adults, these classic books have sold over 60 million copies in 100 countries. Wilder’s stories of her family’s struggles and joys were adapted into one of television’s most successful and long-running series. Little House on the Prairie has been on television for forty-one years and is currently broadcast in the U.S. on the Hallmark Channel and INSP (The Inspiration Network) five days a week, and in over twenty-five countries worldwide. The series is now available for the first time ever in high definition on Blu-ray Disc and Digital HD and strong DVD sales also demonstrate the ongoing popularity of this evergreen favorite. In addition to the HarperCollins books and NBC television series, there was a television miniseries on ABC’s The Wonderful World of Disney and a stage musical which toured North America. 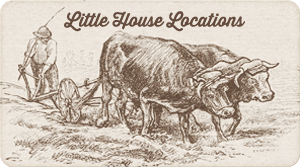 The official Little House on the Prairie website was launched in March 2015 and serves as a home for fans of the classic books, television series, and the beautiful culture that has developed around them. Website visitors can celebrate their pioneering spirit by engaging with fun lifestyle content related to cooking, crafting, gardening and family activities. Fans can also learn about the rich history of Laura Ingalls Wilder and find inspirational quotes and interviews. The Little House on the Prairie legacy will continue as Friendly Family Productions is actively developing new entertainment initiatives. Andover Fabrics Inc., one of the world’s leading quilt fabric manufacturers, has deep roots in the story of the American textile industry dating back to the roaring twenties. Our premier, quality fabrics are sold throughout the world with strong strategic partners in Europe, Australia, Canada, and Japan. Our company continues to grow with key licenses, designers, and unique finished products from Quilted Koala Ltd. Our commitment to preserving historical designs is customer driven. Andover Fabrics consumers avidly seek out period-style fabrics for their crafting and quilting. The Queen’s Treasures specializes in creating exquisite 18-inch doll accessories, doll clothes and doll furniture scaled perfectly for the popular trend in 18″ sized dolls like American Girl® dolls. Founded with the mission to provide heirloom quality toys that can be cherished for generations, The Queen’s Treasures focuses on creating toys that can foster children’s imaginations while reinforcing a positive “message”. Friendly Family Productions is a Los Angeles-based entertainment company which owns film, television, merchandising, theme park and other rights in and to the beloved Little House on the Prairie books by Laura Ingalls Wilder, as well as the Little House on the Prairie® trademark. 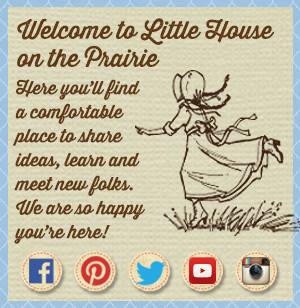 Friendly Family Productions recently launched the official Little House on the Prairie website and has an active and engaged social media following on Facebook, Pinterest, and Twitter. The Company also executive produced a new documentary called “Little House on the Prairie: The Legacy of Laura Ingalls Wilder”, which was released in February 2015. It has appeared as a #1 Best Selling documentary on Amazon a number of times. The Company is managed by Trip Friendly and Rebecca Friendly. Knockout Licensing is a dynamic, full-service boutique licensing agency that creates customized, innovative, and strategic merchandise programs for a varied portfolio including entertainment, digital media, fashion/trend, publishing, corporate brands, characters, and children’s properties. Knockout Licensing delivers results with unmatched integrity and the highest level of client service and has received special industry recognition for its work on British television drama Downton Abbey™ (NBCUniversal International Television Production) by developing an unprecedented licensing program spanning various product categories with a classic lifestyle brand positioning. Client properties also include the best-selling book series turned popular television drama Outlander™ (Sony Pictures Television); publishing sensation Fifty Shades of Grey™; social media canine celebrity Boo, The World’s Cutest Dog™; beloved classic family franchise Little House on the Prairie®; world-renowned SINGER™ sewing brand; the Smithsonian Institution Library Seed Catalog Collection, and more. Formed in 2012, Knockout Licensing is a joint-venture headed by CopCorp Licensing’s Carole Postal and TK Brand Group’s Tamra Knepfer, bringing together two of the most well-respected professionals in the industry. How do we get the pattern for the quilt that was made for the Andover booth in Houston last month? The one with the house in the center. I would like to purchase a model or diorama of any of the structures from little house on the prairie tv show. I would like it unassembled as I would like to put it together myself.. Ihope you can help me.